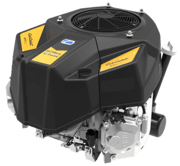 Cub Cadet has released the very first law tractor that is fitted with a fuel injected engine for better fuel efficiency, higher performance and easy use. The V-Twin OHV 679cc EFI engine powers a 42" pressed cutting deck with side discharge making mowing your property a breeze. Perfect for medium sized areas with grass that is not too rough. 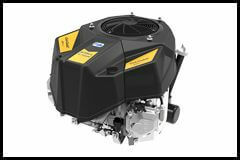 The EFI technology also mens that no choke operation is needed and the mower starts with a simple push of a button. No keys, no choke and smooth operation, isn't that music to your ears?! For further information watch the video below! quiped with an electric PTO means that simple fingertip control allows you to disengage and engage the blades with ease. One of the most important features is the mower features hydrostatic drive system removing the need for gears. The mower drives simply with a toe and heel operated peddle for forward and reverse. A revolutionised steering system has also created a more comfortable ride. The smoother and more durable drive makes mowing your lawns a much easier task. Cub Cadets Quickattach system which requires no tools! 3 year unlimited hour warranty for domestic use only. 90 day commercial warranty. The first EFI engine to be fitted to a ride on mower which makes this machine a product that really does deliver exceptional value. EFI technology removes the need for a choke as the electronically fuel inject system delivers the perfect amount of fuel all the time! This not only means that the engine runs smooth and is easier to operate but more importantly it can save you up to 25% fuel consumption! The hydrostatic drive makes mowing your lawns that much easier, with simply foot operated pedals you can cut your grass in forward and reverse without a clutch or the need to change gears!